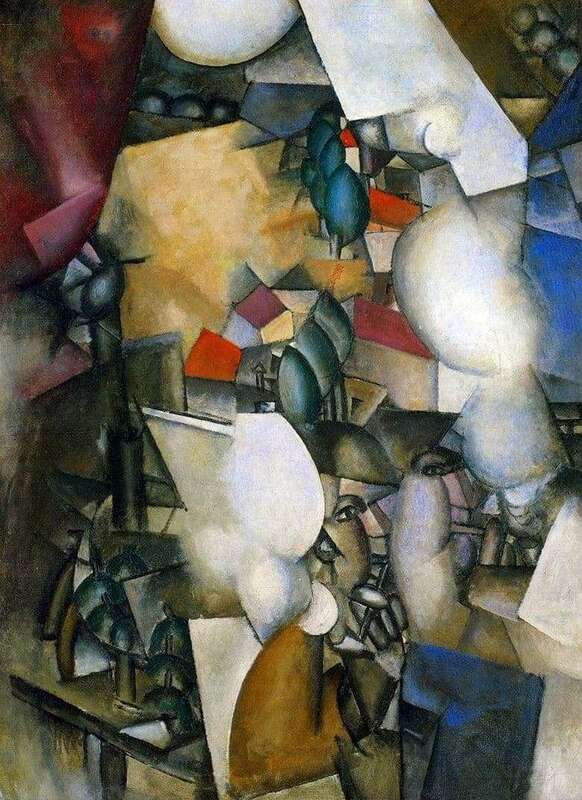 Fernand Leger became famous as one of the pioneers of a new art direction – Cubism. It was exactly after meeting the members of the “Golden Section” society that the artist completely abandons traditional painting, switching to the complex language of geometric 3D figures. From the range of colors, he chooses a calm gray tone in various shades. One of the first experiences of creating artwork in a new manner was the painting “Smokers”. The picture is saturated with elements that will later become basic for the artist: the forms are separated, the hands are large, of unnatural size. The product names the characters, but they are present on the canvas in a “disassembled” form. People are not visible – their presence is indicated. The eyes are out of the face, the hands are disproportionate in size, the outlines of the figures are absent. Persons barely peeking through the surrounding haze, read only by hints. Mimicry is impossible to read – feelings, emotions do not occupy the artist. His main task is to show the world transformed, changed, to convey its fragility and delicate balance. Small houses with colored roofs, green ovals of treetops, air, sky – all are shrouded in clouds of tobacco smoke. Gray clubs fill the space of the picture so tightly that it seems – a little more, and the viewer will feel the characteristic tobacco smell in reality. Smokers have changed the world around. The picture is interesting in that it takes time and a special look, free from artistic conventions, to understand the image. It is necessary to consider the canvas from different points, then approaching, then moving away from the work. The works of Fernand Leger fascinate the viewer with their unusual vision of the surrounding space, subtle ability to show the world “from above”, without looking at the usual patterns and pictures. Creativity of the master has always caused a lot of controversy and active controversy, but this is probably the true art.